Madeline could barely sleep at night. She was worried her husband would wake up confused and wander off, so she kept her hand on his chest all night. Her grown children, concerned about her exhaustion, called Jayne Clairmont, owner of English Rose Suites, a dementia consulting and home care business. Jayne listened sympathetically to Madeline’s story and offered a simple solution. “Place a few drops of pure lavender oil in his navel or on the bottom of his feet before bed,” she advised. Jayne has shared the powers of essential oils in her national speaking and consulting. She collaborated with Health Partners on a study of 26 memory care residents. 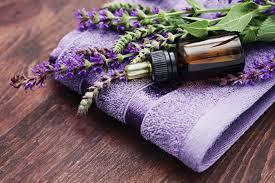 The study showed that lavender drops, administered externally before bed, added 43 extra minutes to the sleep cycle. Some sleeping pills only provide an additional 13 minutes of sleep. For Jayne, understanding essential oils is a simple way to deepen comfort and connection. She starts by learning more about the person living with dementia, so she best knows how to support him. She listens for issues, such as restless sleep, anxiety, or exhaustion. Then she offers a few easy aromatherapy solutions. “Lavender also induces calm,” Jayne says. She recommends lavender essence for foot massages. When people are pacing and anxious, Jayne suggests a few drops of soothing lavender on a silk flower that they can hold and sniff or wear as a boutonniere. For someone who’s struggling to stay alert, a few drops of peppermint applied with a warm cloth may help. Jayne may add drops of peppermint to water and use a diffuser or spray bottle to mist the air. 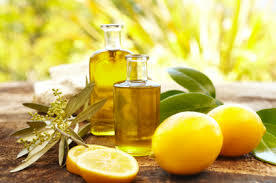 Citrus scents, such as orange and lemon, enhance appetite and help people wake up.